Annesley was born in London. He spent the first two years of his life in South London before moving to North London, where he attended Highgate School. Later, Annesley was educated at University College London where he graduated with a BA (Hons) in Politics & East European Studies. He worked as an Adviser to The Rt. Hon Oliver Letwin MP for several years. Annesley was also the Chairman of the Bow Group, which is a leading Conservative think tank. In 2010, he stood as the Conservative Parliamentary Candidate for the Hazel Grove constituency at the General Election. He has taken part in many media interviews including for BBC News, ITN, ITV Granada, and is a frequent contributor to BBC Radio 5 Live and Radio 2. In early 2010, Annesley was invited to be a guest speaker in a debate at the Oxford Union on the subject of all women shortlists for political candidate selections. Annesley has previously served on the National Executive of Conservative Future (youth wing of the Conservative Party) where he was responsible for political events and was Chairman of London Western Conservative Future. 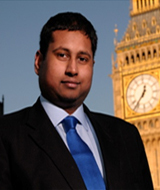 He has also served as Deputy Chairman of the Brent East Conservative Association and has stood as a local government candidate for the London Borough of Brent in 2006. He has also had TV presenter training and has served as a school governor for an inner city primary school in North West London. Between 2003 and 2004, Annesley served on two policy commissions led by former Home Office Minister, Timothy Kirkhope MEP on the subjects of asylum and immigration. The findings were submitted to the then Shadow Home Secretary. Annesley has addressed the Conservative Party Conference in 2001, 2002, and 2004. In his spare time, Annesley enjoys choir singing, raising money for charitable causes, eating out, and his main hobby is collecting and preserving classic British vehicles.